Friends and gentlefolk, welcome to the second edition of card making! 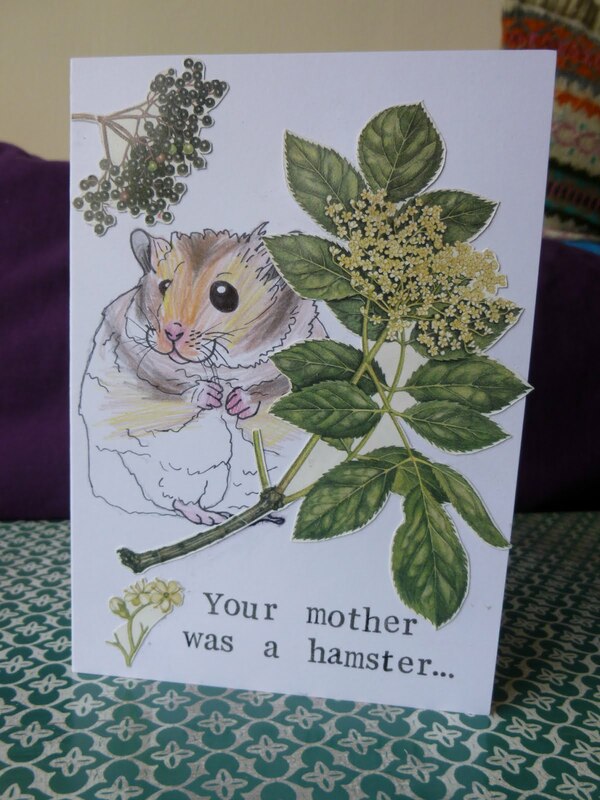 First of all we have a card to go with my "Your Father Smelt Of Elderberries" cross stitch from last week. It features the first half of the Monty Python quote in my favourite stampey stamps, a little pen hamster, and some elderberry foliage from my nature stash. Next, an RSVP card. A good friend of mine decided she wanted an afternoon tea party for her birthday and sent out handmade invitations in the post. 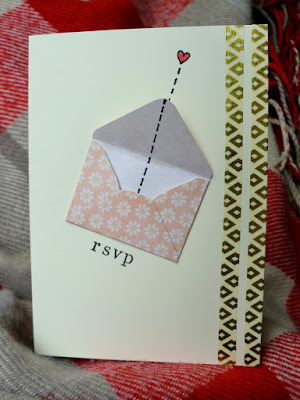 It was so lovely to get snail mail, so responding by email or facebook seemed too impersonal. I whipped up this little card with an open-able envelope and some shiny washi tape and popped it in the post right back to her. This next one is a shameless rip-off of something I saw on Pinterest. Please don't judge me too much. 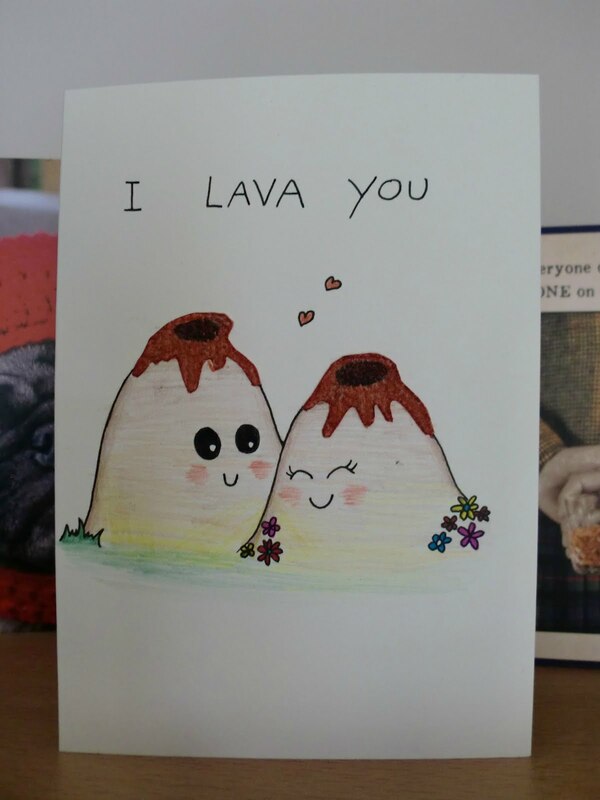 The lava is made from some bubbly orange paper and the rest is just pen and coloured pencil. I'm going to have to provide some back story now, so here goes. 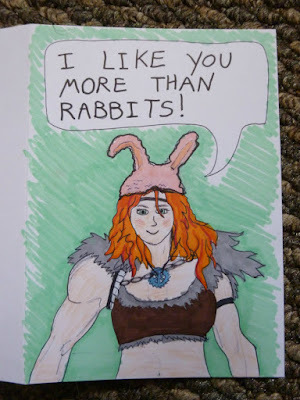 I started playing DnD recently, and my character is a massive ginger goliath with the mind of a child who thinks she's only 10 because she has ten fingers. Her name's Nini. Nini believes she was raised by rabbits, but they were actually just small Inuits wearing a lot of fur (but don't tell her that.) This card is for one of my favourite people; he runs the DnD group and is regularly vexed by Nini's antics as she tries to domesticate every animal we come across.